Raise the volume with our satellite and subwoofer speaker outdoor audio system. From backyards to courtyards, our audio experts bring amazing sound quality to all your outdoor experiences. With our cutting-edge audio system, you can connect wirelessly, stream music, and enjoy uniform volume levels througout vast areas and intimate settings. With our outdoor audio system’s pristine sound quality, you’ll find yourself more entertained outside than in. Time spent outdoors will be even more enjoyable and relaxing when listening to superior audio. Amazing sound quality and music will make all your celebrations unforgettably fun. With our audio system’s pristine sound quality, you’ll find yourself more entertained outside than in. We achieve even volume levels by installing a series of satellite speakers and subwoofers around the perimeter of your area. With our cutting-edge audio system and systematic installation, you no longer have to worry about uneven sound coverage or disturbing your neighbors. The Sonarray system is a complete outdoor audio solution designed and built with incredible sound quality, sound coverage, and construction perfect for any outdoor space. By combining satellite speakers, subwoofers, and an amplifier, the Sonarray audio system is unparalleled in sound quality, durable technology, and affordability. We customize the number and placement of satellites and subwoofers to your specific outdoor space. Satellites and subwoofers disperse volume uniformly throughout vast and intimate areas. 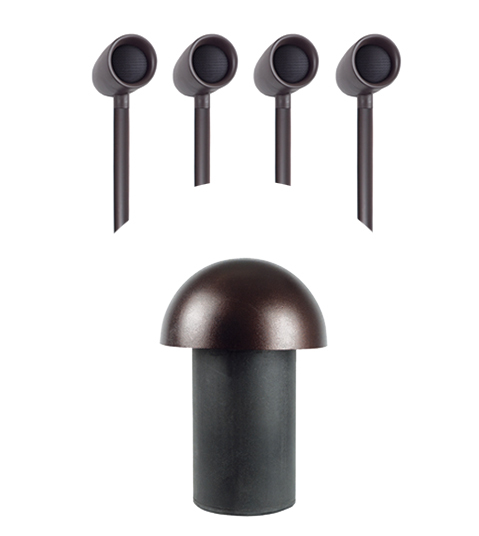 Finished in a natural earth tone, speakers are easily hidden within your outdoor area’s foliage. With systematic installation, they’ll be hardly noticeable. Speakers are constructed of non-corrosive composites and triple sealed enclosures, allowing them to withstand harsh weather conditions. We aim to bring stellar sound quality and music to all your outdoor spaces. Whether you’re perfecting your backyard patio or creating ambience in your outdoor dining area, we’ll make your outdoor experiences that much better with pristine audio. 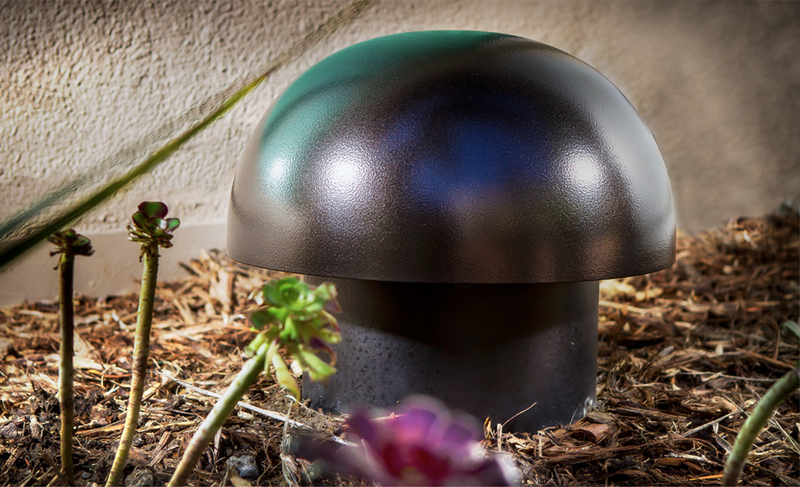 Take your backyard to the next level with exceptional audio. Relax, celebrate, and entertain with memorable music. Employees and guests can better relax, think, and enjoy their surroundings when outdoors with pristine audio. Quality audio will establish a warm and inviting tone for your professional setting, all while not disturbing neighbors. Customers will love the added entertainment, ambience, and charm that audio gives your dining space. Outdoor shopping malls are perfect spaces to be outside and entertained by sights and spectacular sounds. Maximize your courtyard’s charm, tranquilty, and appeal with the Sonnary audio system that relaxes with every beat. 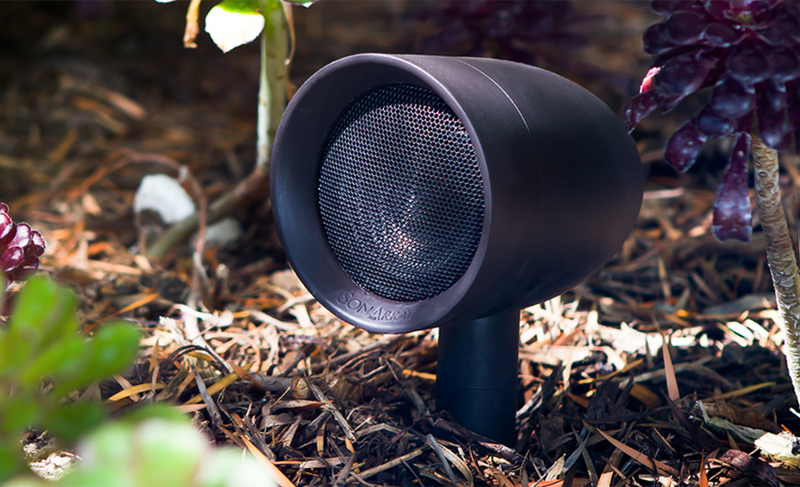 Take your backyard to the next level with outdoor audio. Relax, celebrate, and entertain with memorable music. Maximize your courtyard’s charm, tranquilty, and appeal with an audio system that relaxes with every beat. Customers will love the added entertainment, ambience, and charm that outdoor audio gives your dining space. We specialize in customizing each audio installation to your landscape’s specific dimensions and features. We’ll work with your space’s unique architecture, coverage, and foliage to perfect the number and placement of your speakers. We will perform a property walk-through together, ensuring a complete understanding of your space and outdoor audio project. Our outdoor audio design specialists customize each design to your space’s specific landscape and architectural features. Our installation experts use cutting-edge technology and attention to detail to perfect your outdoor audio design. To ensure your outdoor audio system is always working like new, we are available to do check-ups and adjustments when needed. A well-designed and installed outdoor audio system elevates your space to the highest level of ambience, entertainment, and enjoyment. Whether you’re dining on a patio, celebrating in the backyard, or taking a break from the office, you’ll enjoy time spent outdoors even more with incredible sound quality.